The idea of a public survey to predict election results and measure opinion is old, but the methods used have evolved over time. Before democracy became widespread, there was no need for rulers to gauge public opinion, and they had no scientific way of doing so. However, after the French and American revolutions, when early forms of democracy began to appear, rulers and leaders were more interested in knowing what their citizens were thinking, and how they intended to vote. Before polling became widespread, leaders wanting to gauge public opinion did so in less scientific ways. For example, letters to the editor in the press often reflected public views; Gatherings or rallies were another way of measuring popular sentiment. 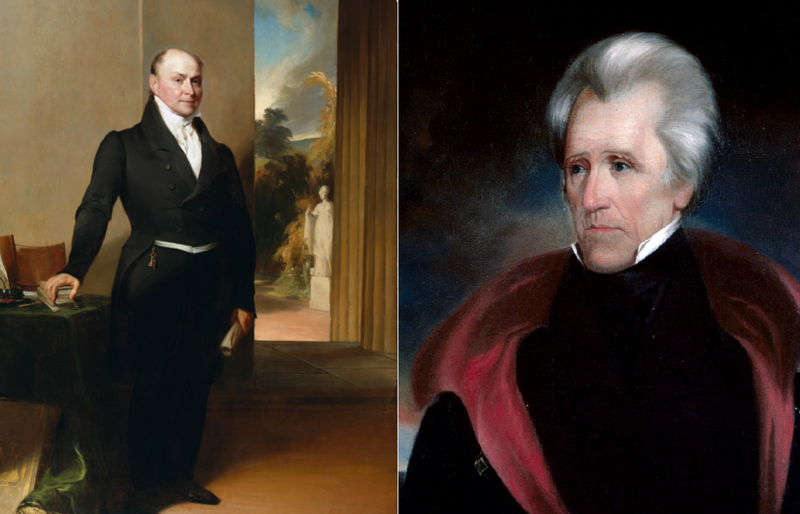 The 1824 election between John Quincy Adams (L) and Andrew Jackson (R) is generally considered to be the first at which an opinion poll was conducted. Credit Harvard Art Museums/Wikimedia Commons. The first instance of what we now call an opinion poll is generally considered to have been held in July 1824. The Harrisburg Pennsylvanian, a local newspaper in Pennsylvania’s capital, conducted a survey in Wilmington, Delaware. It asked voters (which at the time meant only men, mostly white, and mostly property owners) their opinions on the presidential election due that November. The newspaper reported 70% of respondents intended to vote for war hero Andrew Jackson. Jackson went on to win a narrow popular vote victory, but his opponent John Quincy Adams was elected president by the House of Representatives. Before long, publications across the United States were running their own polls, or reporting on polls run by others. This kind of poll, known as a ‘straw poll’, was not very scientific, and their accuracy could vary considerably. Many of these polls were conducted by printing coupons or forms in the newspaper and inviting readers to send them back. Later in the 19th century, some efforts were made to make the polling more representative of the community. The Columbus Dispatch, for example, seems to have been the first to consider using trained interviewers to gather information, and sought a balance of age and occupation among those surveyed. Often, however, the opinions of civic leaders and elite members of society were canvassed as being more truly indicative of public thought. Opinion polling became an institution in the United States, but took until the early 20th century to really catch on in other countries. Most modern polls derive from the Gallup method, invented by American George Gallup; This method involves sampling a randomly selected, statistically average group of people. Gallup’s first poll, in 1932, correctly predicted a local election in Iowa. Four years later, Gallup went against a more respected straw poll conducted by the Literary Digest, which saw more than two million people return surveys. Based on that data, Literary Digest predicted Roosevelt’s opponent, Alf Landon, would win. The Literary Digest was wrong, and Gallup was right; Roosevelt won in a landslide. But Gallup didn’t always get it right - in 1948 he, like almost everyone else, predicted Harry S. Truman would lose to Thomas Dewey, but Truman won. Gallup’s organisation, Gallup Inc. still exists and regularly runs opinion polls in the USA and around the world. It is not suggested that the leaders of Australia should blindly follow poll findings … but the polls will add to the evidence on which those with the responsibility of leadership base their estimates of public reaction. An exhaustive Gallup poll in 1941 showed Australians’ attitudes to various social and political issues. Importantly, voting intention was not included. Credit National Library of Australia. The polls taken that year provide insight into opinion at the time, with 59% of those surveyed in favour of equal pay for women, 72% supporting an Australian input on the conduct of the ongoing war, only 33% supporting the government’s handling of the war, and 50% supporting higher taxes. 78% of the respondents favoured an all-party coalition government, something both sides of politics had rejected. By 1943, Gallup polls were being conducted on many subjects, including the upcoming election. A poll conducted a week before the election showed 45% support for the Labor government over 38% for the United Australia Party. The actual result was a Labor landslide of 51%, but the poll was accurate enough that it became, before long, part of the Australian political landscape. In modern times, the Australian poll which attracts the most media attention is Newspoll. It is well-known for being the most consistently accurate poll when it comes to predicting election results. Originally, Newspoll’s method was by telephone, but the poll now uses a mixture of telephone and online polling. Since 1993, Newspoll has accurately predicted the winner of the two-party vote about 80% of the time, and in 2010 and 2016 the polling almost exactly matched the result. Losing the two-party vote in 30 consecutive Newspolls was one justification Malcolm Turnbull cited for replacing Tony Abbott as prime minister in 2015; similar explanations have been offered for other changes to leadership and policy over the years. 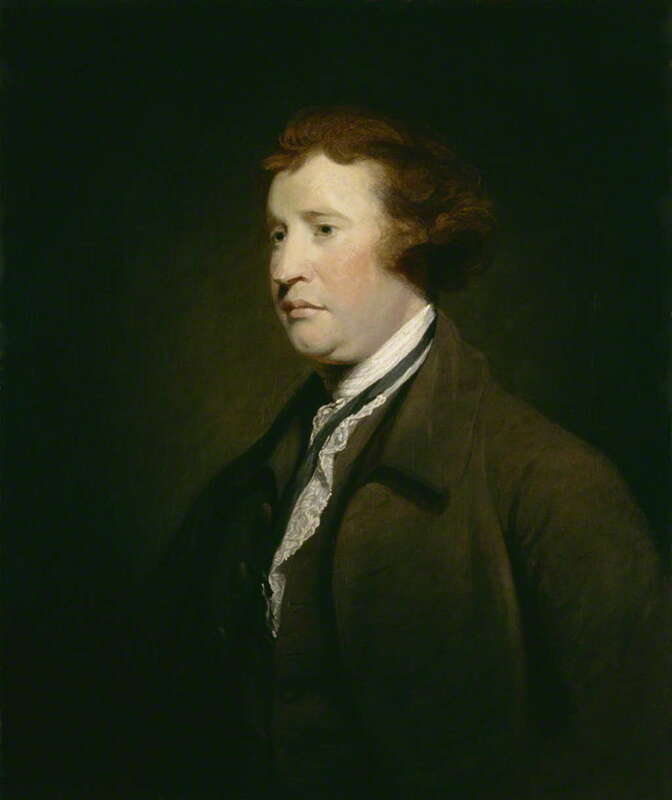 Edmund Burke, the Irish politician and philosopher, believed that public opinion should not constrain a representative, only influence it. Credit Wikimedia Commons. There is also evidence that voters themselves rely on polls. Some studies have suggested that when a party or candidate is clearly leading in polls, voters are more likely to support them at the ballot box. While the polls can be wrong, they are generally a good indication of public opinion, and leaders ignore them at their peril. Finding the balance between public opinion, expert advice and personal views is the challenge of every elected politician. Campbell has been the Curatorial Officer at the Museum since 2012 and has worked in the sector for almost a decade. He is passionate about telling stories through objects and activities, and equally passionate about the hopelessly large pile of books he hasn’t got around to reading yet.